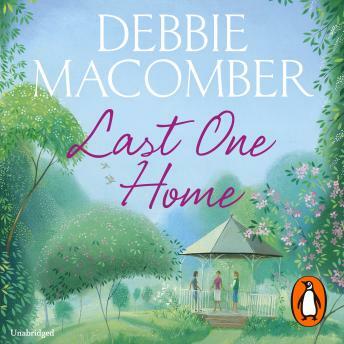 The first ever stand-alone novel from international bestseller Debbie Macomber, author of Blossom Street Brides and Rose Harbor in Bloom. A story about the enduring bond between sisters, the power of forgiveness, and a second chance at love. Twelve years ago, Cassie Carter chose the wrong man, and one fateful event drove three sisters apart. Now, hoping to leave her past behind, Cassie has returned to Washington with her daughter. Though her sisters don't live too far away, she doesn't expect to see them. Karen, the oldest, is a busy wife and mother, balancing her career with raising her two children. And Nichole, the youngest, is a stay-at-home mum whose husband indulges her every whim. But one day, Cassie receives a letter from Karen, offering the hope of reconciliation. As Cassie opens herself up to new possibilities - making amends with her sisters, finding love once more - she realises the power of compassion, and the promise of a fresh start.